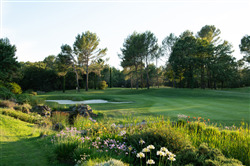 The French Golf Federation and its Environmental Commission have just awarded Terre Blanche Golf with the “Silver label” as part of the Golf Program for Biodiversity launched with the technical and scientific support of the National Museum of Natural History. This new accolade affirms the resort's voluntary commitment to create awareness, to protect and enhance its natural heritage. Through this program, Terre Blanche Golf contributes to a national survey about French golfs’ biodiversity but also to share eco-friendly maintenance practices favorable towards the fauna and flora, to raise awareness among golfers on biodiversity issues and to promote golf as a responsible sport.